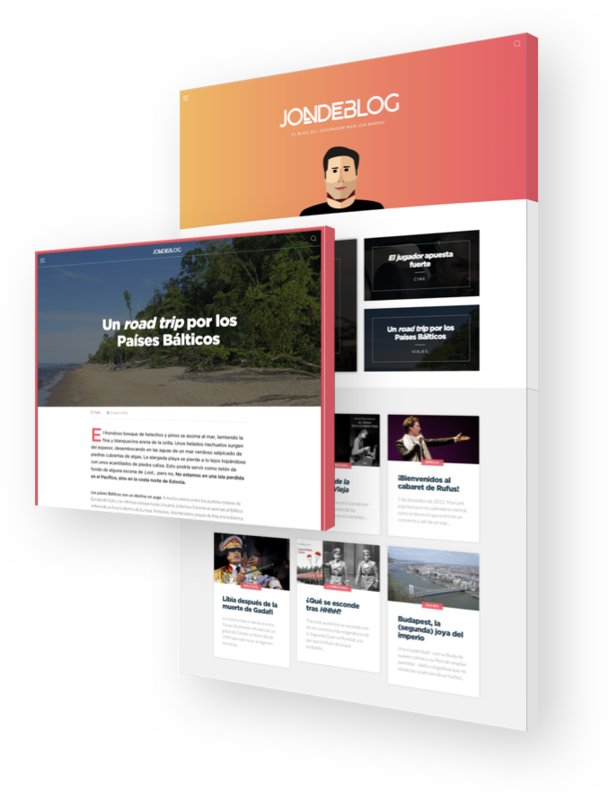 This project’s goal is both a look&feel rebranding and a CMS change of the previous (and old) version of my personal blog. Once the UX/UI revampire was done, I decided to migrate the backend to WordPress, the most broadly used CMS platform. Based in Sage WP starter theme, the development relies on Gulp, Sass, Bower and good-old PHP. A clean and modern interface whose main goal is letting the user focus on reading. Making the most of WordPress’ search engine, the user can easily access to the desired content. Users read your contents at any time and at any place, thus the responsive version has been taken very seriously.